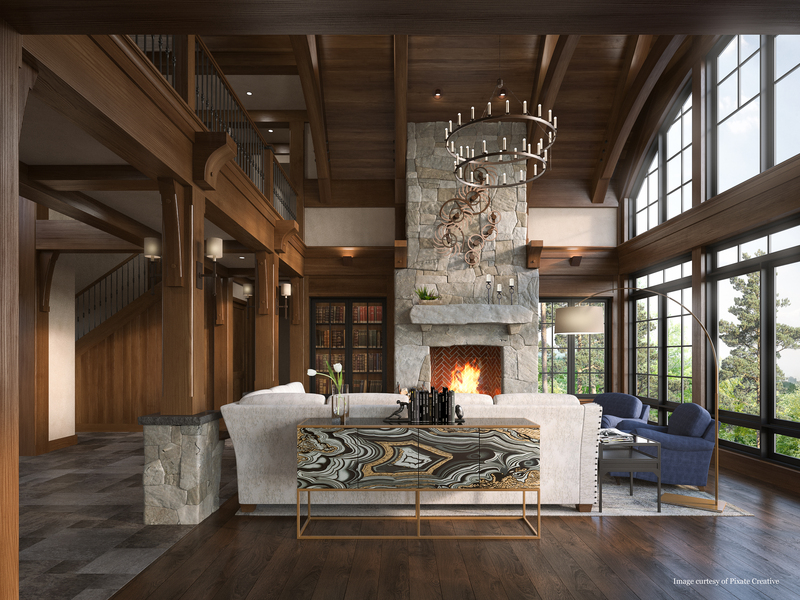 Thanks to modern technology, there are a number of ways to create detailed renderings of potential home designs. At TMS Architects, we find that mixing traditional and high tech rendering methods leads to better results and client satisfaction. 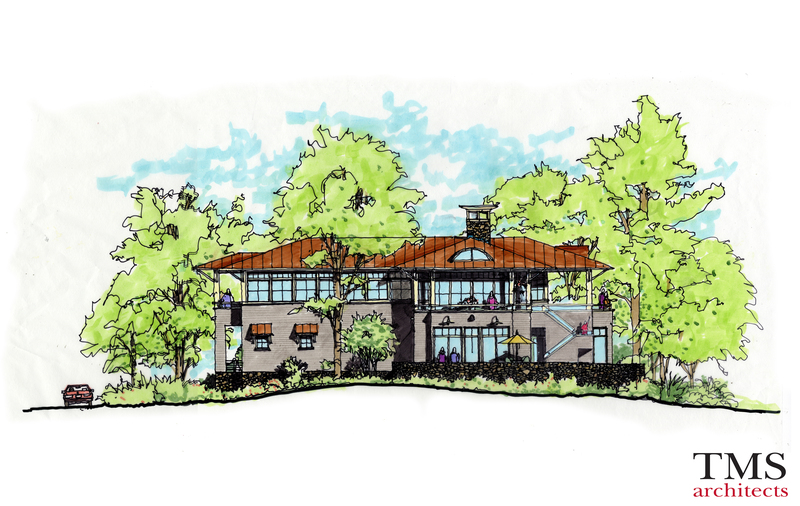 Here are a few of the different ways we use renderings to bring our clients’ dream homes to life. Still very relevant in today’s world of computers! Hand sketches are a great way to convey an idea at an early conceptual stage, invoking a feeling and offering a broad sense of design. 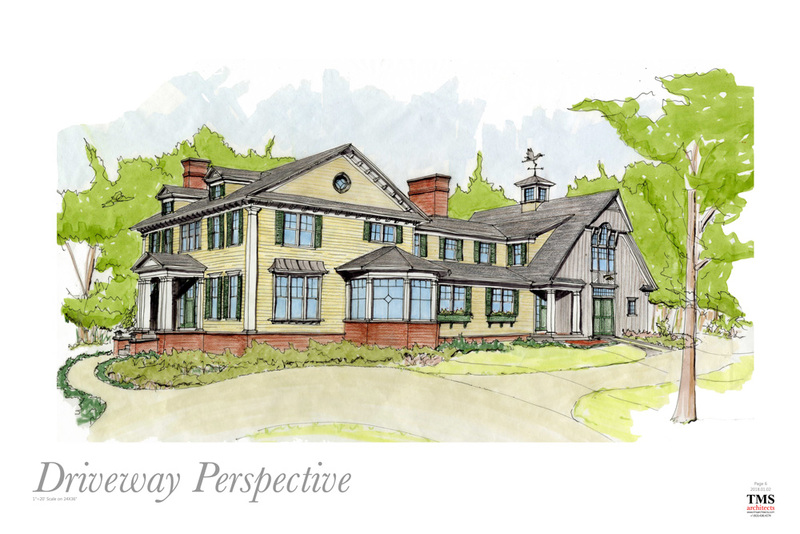 There are many styles of hand rendering that can vary greatly depending on the architect. Use of pencils, markers or even watercolors are the three most common techniques by architects. 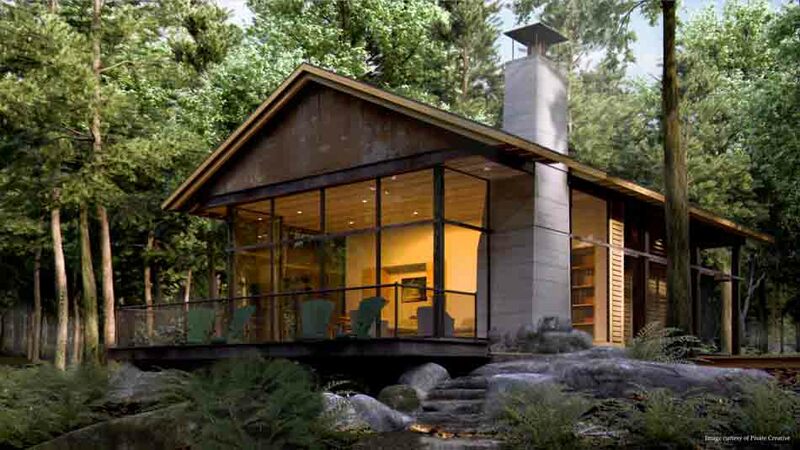 3D Computer Process Image of a lakeside home. Often a computer generated rendering is appropriate during the design phase as well. The techniques and style can vary as well depending on computer program, and designer. 3D computer process image. Still sketch-like, but shows more detail than a hand rendering. One benefit is that once the model is created it can be modified and updated as the design develops. 3D process images can be controlled to look more or less realistic vs sketch like. A highly realistic 3D computer process rendering. Often during the design phase we like to keep the images looking a little “looser” or conceptual in nature until the project is developed further. When a design is further developed it often makes sense to create more realistic images of the project. These really help a client understand exactly what the project looks like and how people will interact with it. Images like these can be used for residential project, but we also find that these help a client for a commercial project convey a design during approvals, assist with financing, or with the real estate aspect of a project. We’ll be sharing more about specific renderings in the coming months, so be sure to check back in and follow us on Facebook, Twitter, and Instagram for updates. Or if you’d like to work with us on a home design project of your own, contact us to get the ball rolling.